… and there’s a pretty good reason for that. Recently I found myself in the hospital for a couple days, the victim of an idiopathic episode that was NOT a stroke, mini-stroke or cardiac event. Which is to say, they don’t know what caused my medical episode, but they know what it wasn’t. You might say that my storm cloud has a silver lining, but there’s no guarantee that lightning won’t strike again. In any case, I did a bit of soul searching in that hospital bed. I determined that I want to live my life to its fullest, to reduce the level of stress in my life and to avoid hospital food at all costs. I also realized that the things that are most important to me in my life right now are God, my wife and kids and my writing. 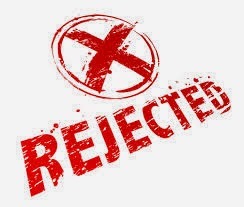 It is perhaps ironic that the night I returned home from the hospital, I received another rejection email from a publisher for a book proposal I had submitted. It was quite the blow, especially given the circumstances. I got over it because I believe in what I’m writing. While I agree with GK Chesterton that believing in oneself isn’t enough [he noted that actors who can’t act and debtors who can’t pay believe in themselves, to no avail], I genuinely feel I have talent and ability in this area. More importantly, I’m not the only one who thinks so. Not that I have delusions of grandeur. I am a passably good writer. With practice, I may yet become a great one. I set out to write to the sort of books I wanted to read and, thus far, I have succeeded in that particular mission. It just doesn’t happen to be what this particular publisher is looking for at this time, suggesting that what I want to read and what they think will sell are two entirely different things. While this is bothersome, especially since the other reason I set out to write the sort of books I’d like to read is because, by and large, I simply don’t see them on the shelves [corporeal and virtual] of Christian retailers. It’s not a huge secret that spec-fic is a really small slice of the Christian publisher pie. There’s been a surge of good spec-fic authors lately but no real expansion of interest from Christian publishers. That means my competition is a bit stiffer than it once was. It occurs to me that I have no choice but to write better and more often. The problem is that I’m forced to take away time from writing to market and build my “platform.” Apparently, agents and publishers no longer think that a good book is enough. The market is more competitive in the wake of self-publishing and now they require potential authors to have a big platform. I’ve been making a solid effort to build my platform these past several months, but it takes time end effort. Apparently these days, the horse is pushing the cart. His implication is clear: if I generate a big enough platform, why would I need them? What do you think? Are publishers offering you the sort of book you want to read? Are you getting more of your spec-fic from self-publishers or traditional publishers? Is there still a point to traditional publishers if you have to build your own platform?